The other night a friend sent me home with some red pepper soup — made with fresh garden peppers and white wine. 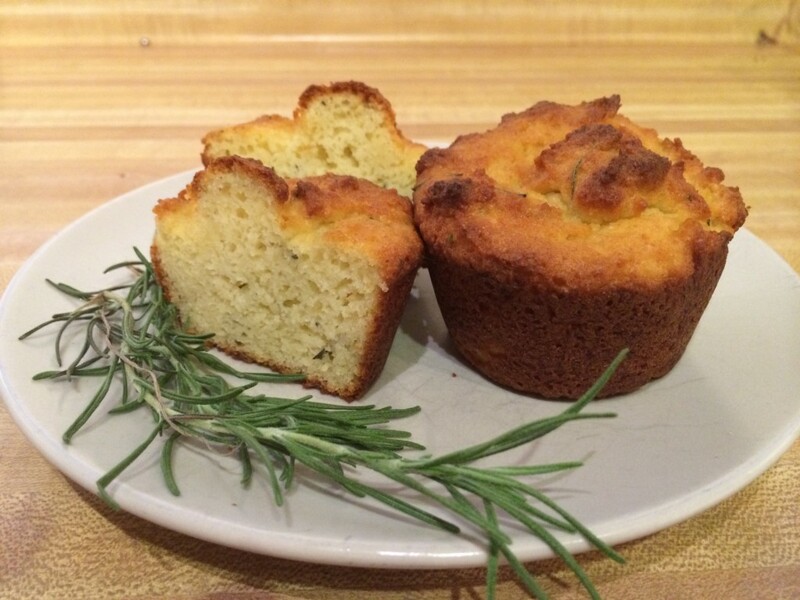 I decided to make dinner out of it, so I grabbed some rosemary from her garden and whipped up these cheesy muffins to go along. And boy, was it a stunning combo. These babies are best served warm, right out of the oven. Note: xanthan gum can be hard on some people’s stomachs and/or hard to find. This recipe works best with it, but also will work without it. Without it, the muffins will be a little more crumbly. note: for the first version of this muffin I tested, I used 1 1/2 tsp. dried basil, and it was also quite tasty. Preheat oven to 400˚F (200˚C). Line or grease 6 muffin tin cups. 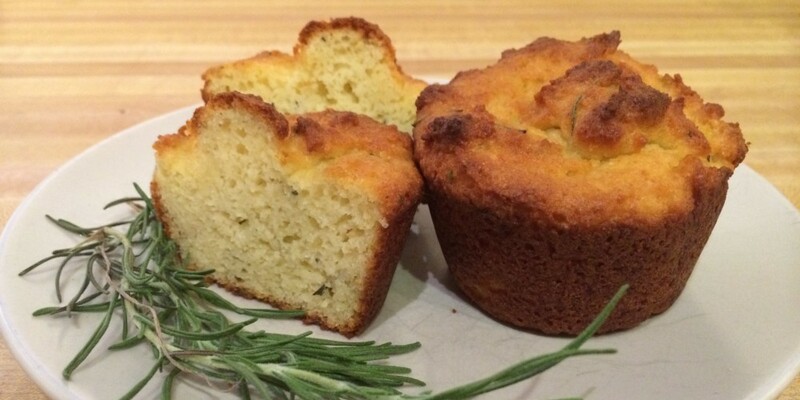 In a bowl combine the flours, baking powder, salt, parmesan cheese, xanthan gum, and rosemary. In another bowl combine egg, honey, oil, milk and sour cream. Add to dry ingredients and mix just until blended. Spoon batter into prepared muffin cups, filling three-quarters full. Bake in preheated over for about 20 minutes until toothpick inserted in center comes out clean and dry.